In honor of Mother’s Day, we’ve asked one of our Close To My Heart Consultants, Senior Director Sundi Hendrix, to share with us memories of her dear mother. We’re privileged to share her touching words on the blog today. The lyrics to this song have always reminded me of my mother. She left footprints of love, kindness, and goodness wherever she went, without fail. When I was five, I wrecked my bike down a ditch. Scraped and hurt, I’d even been knocked unconscious. When I awoke, I was scared and lost. I wanted my mommy, and I cried out for her. Then I heard her calling my name. As I struggled to come out of the ditch, I could only think of running into her arms, where her soft, loving hands would comfort me. She was there to do just that. Those same hands selflessly served throughout her entire life, offering that very love and comfort to all around her. Jeanne Hill LaMarca was born in Salt Lake City, Utah to Allen and June Hill on August 5, 1947. She didn’t receive a middle name “for clerical reasons”! Grandpa was their church clerk. He had difficulty fitting the lengthy names on church documents, and joked, “When we have a baby, it will have ONE simple name. And so, Jeanne Hill with the simple name, went on to be an extraordinary person. With her father serving as Bishop, and five younger brothers, Mike, Dan, Steve, John, and Bob, Jeanne spent many hours ironing white dress shirts. She gladly helped her mother, though you can imagine her delight when “Perma-press” came out! In 1965 she graduated with honors from Lordsburg High School in Lordsburg, New Mexico. She attended BYU that fall, where she later dated Fred LaMarca. He was from Lordsburg, but “chased” her up to Utah. They married in 1969 in the Mesa, AZ LDS temple and then both graduated with their bachelor’s degrees in 1970. After I was born in 1974, three rambunctious brothers, Jonathan, Scott, and Ben, followed. Benny was born IN the ambulance with our dad driving! Years later, Dad joked, “I could’ve made it to the hospital, but what kind of story is that?” Though we’d never so much as hear Mom raise her voice or be unkind in any way, she likely could’ve choked him! Mom was witty, funny, and intelligent. 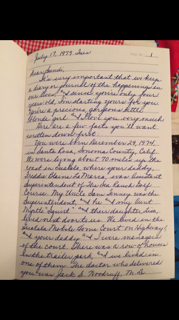 She loved to read and write, and especially enjoyed penning handwritten, heartfelt letters. 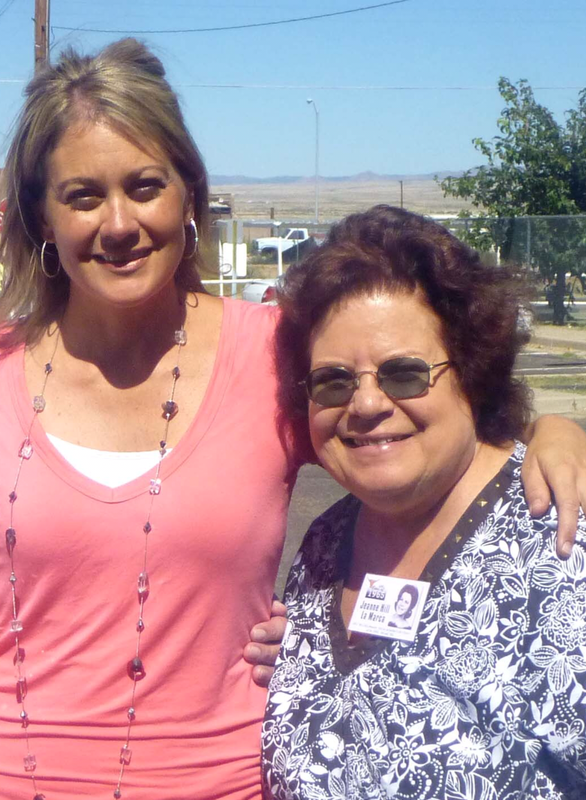 Over the years she worked for the Lordsburg Liberal and the Hidalgo County Herald newspapers, where she served as an editor, photographer, and journalist. 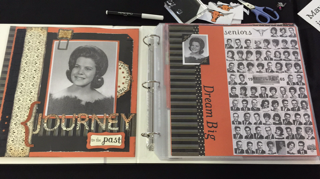 A dedicated memory keeper, Jeanne enjoyed photography, family history and journaling. She even started a journal for me, a dear treasure now, when I was four. She played the piano beautifully, and for nearly every wedding, graduation, quinceñera, and event our town had. She also played in our small hometown church ward for Sunday School, Primary, baptisms, and the like. As a child, I’d climb on her lap, place my hands over hers, and pretend I was her playing. During my senior year, mom ambitiously went back to college. Dad worked endless hours as a principal and she as a substitute and mother, yet she’d still drive an hour away for night classes. Often returning after 11:00 pm, she’d finish housework before starting her studies. In 1993 we both graduated: I from high school and she from WNMU with a master’s in education. She taught English, Special Ed, and even went on to earn a second master’s in 1996. Mom loved to bake for people, and shared their stories as she did: “This family lost a loved one,” or “This one has struggles,” “serves our community,” or simply “needs some cheering up.” She must have made thousands of deliveries in her wood-paneled station wagon! Although as kids, it wasn’t the coolest car to us, Mom and our friends LOVED it. It held dozens of kids and loads of brownies! One December, mom started a beloved tradition called “Secret Friends.” Nightly, we’d secretly leave goodies on the doorsteps of people in need. Our family and neighborhood kids piled by the dozens in the wagon. Mom drove through neighborhoods and we’d creep through bushes to sneakily leave gifts. One year, we gave gifts to 15 families! What joy this kindness brought to us all! “Momma Jeanne,” as she was affectionately called by many, was a mommy to all, even taking in several children over the years who had difficult family issues or other life problems. She loved everyone, and was loved by all. Through all her life of serving, Jeanne sadly endured pain in her feet. Though she had many surgeries since childhood, she still suffered to walk. You wouldn’t know it though. She didn’t complain, only made light of her braces and “Granny Grump” shoes. Her only worry in life was of embarrassing her family by her condition. We didn’t care, because we looked to her heart, just as she taught us to look at others’. 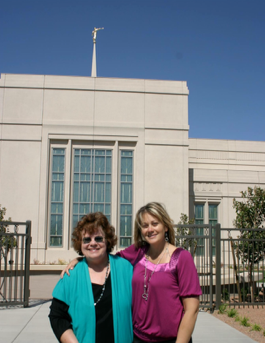 On March 15, 2014, Jeanne went on to serve on a higher level. We’re certain she’s baking the most heavenly brownies, as she plays the piano, offers hugs and mends hearts. In honor of her kindness and generosity, I’m so happy to share her famous “Ugly Brownie” recipe. Please do some good in the world today, and bake them for someone who could use a smile. Cream butter, sugar and vanilla; beat in eggs. Blend in cocoa. Stir in flour and nuts. Bake in greased 8″ x 8″ inch pan at 325 degrees for 30–35 minutes. Cool. Enjoy and SHARE! Beautiful, heartfelt and perfectly delightful. Thank you for sharing. That is a beautiful tribute to your mom. She would have been so happy to hear what you said about her. I know that you know that she is seeing this in the Heavenly realm. I love all the photos, she was beautiful just like you. Happy Mother’s Day Sundi! P.S. Thanks for the brownie recipe. Can’t wait to try it. Beautiful tribute!! Thanks for sharing with us Sundi. Sundi, Thank you for sharing your beautiful memories of your mom. What a Legacy! So Beautiful Sundi. A really beautiful, touching tribute. Such a nice tribute my friend!!!! What a wonderful person and beautiful story of how we should all live! Wonderful story. Thanks for sharing. Family treasures well preserved in the journal and photos she kept. What a wonderful story of an amazing woman! You are so blessed to have been the daughter of this loving, kind, lady and I’m sure you must have inherited her characteristics.